Big D Paving is one of the leading experts in tennis court paving construction. We also specialize in basketball courts, running tracks as well as softball, baseball, football and soccer fields. By using our laser grading technology on rock bases we are able to maintain a precise level for optimum “on-grade” accuracy on all playing courts. 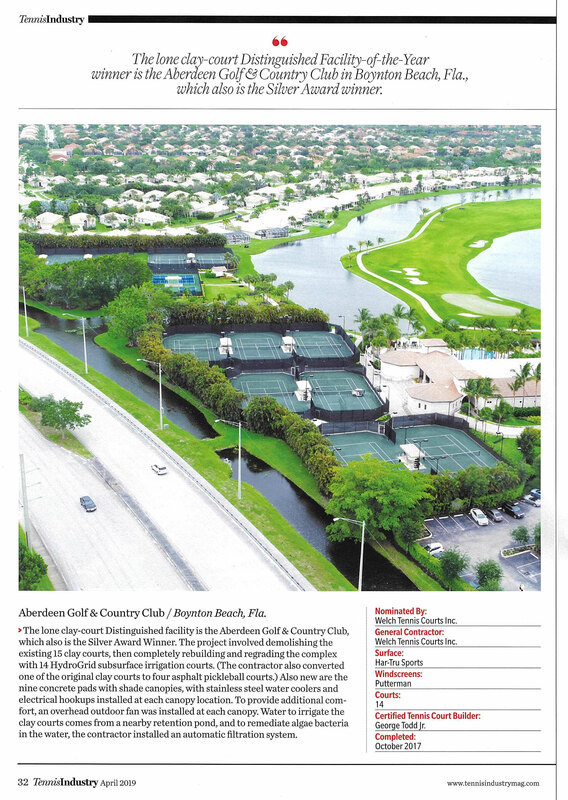 Big D Paving was the paving contractor who completed the Aberdeen Golf and Country Club conversion of their old tennis courts over to pickleball. We are proud to have been a part of a project that has been recognized with a Silver Award from the Tennis Industry.